It only makes sense that demographics play a large part in new kitchen developments, especially when it comes to particular styles and finishes. As more and more millennials are purchasing homes for the first time, their unique tastes are definitely impacting societal and consumer trends. Given their increasing market power in the home-buying and remodeling sphere, it’s crucial to pay attention to their preferences. Here are some recommendations on how to build the perfect kitchens for the millennial generation. As a group that prefers the city over suburbs, millennials are willing to sacrifice extra space for quality and style. This generation is heavily focused on the look, feel and functionality more than anything. With an active, creative, collaborative, and socially connected lifestyle, it is no surprise that they want a kitchen space that can support all of that. Therefore, practicality is a huge priority. They would rather spend their money on technology than intricate details and moldings. Favoring the useful over the ornate, they want cleaner more functional open kitchen layouts! Millennials love fluid living spaces with fewer barriers. This means an open space that can easily transition from kitchen to TV room is essential in their homes. Their kitchens should be built with elements that invite social interactions, entertainment, and even function as an in-home office if needed. Since Millennials are moving away from traditional spaces with designated functions, they may also ditch the formal dining room completely. When developing for millennials it is crucial to build a kitchen that easily facilitates socializing between friends and family; a room to hang out in. Millennials gravitate toward timeless designs by using soft neutral colors, especially grays, with temporary accents that can be switched out over time. Selecting high quality products for cabinets, counters, appliances and flooring ensure durability, and low maintenance. In essence they want the major elements of the kitchen to stay relevant and efficient for as long as possible, as they’re not planning another remodel any time soon. For millennials, the kitchen needs to support their tech-driven life. 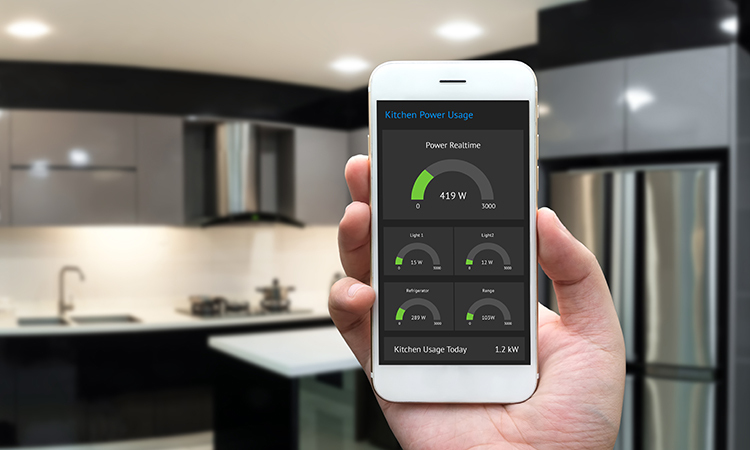 A super connected kitchen, means enabling the use of many different devices at once, and should include smart appliances that can be controlled from anywhere. For example, consider smart thermostats that allow remote adjustments to lights or temperature through a smart phone app. This tech savvy generation knows that technology can be used to simplify the way their kitchen functions and looks. As the first generation to grow up with all the digital and smart phone technology we have today, syncing a kitchen with a phone or an app just seems natural. Millennials love kitchen islands as they provide increased counter space and storage for their high-tech kitchen gadgets and fancy coffee machines. To get the most out of the kitchen island and cabinetry, hidden electrical outlets that include USB ports should be installed. Also adding extra features like hidden speakers, and programmable lighting will definitely appeal to this younger crowd. Millennials also appreciate sustainability more than other generations. They want a kitchen constructed with materials and filled with appliances that are both better for the environment and will save them money in the long run. Investing in home features that save or reduce their energy use without sacrificing functionality is at the top of their lists. With this desire to protect the planet and their own health, they look for energy efficient appliances, recycled materials and reclaimed glass. So to revamp a kitchen in accordance with millennial trends, aim for an open, fresh and function-centered kitchen. Futuristic kitchens that we see in the movies are no longer a complete fantasy. Let us know if you have any suggestions on how to bring these revolutionary spaces to life. We’d love to hear from you!